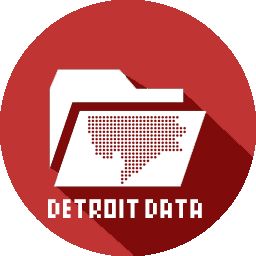 It is much more interesting to look at Detroit’s land annexations in animated form. You can see how various areas of Detroit were added through the years. Looking at Detroit’s history you can see the slivered expansion northward from the River and then fanning out along the River’s edge, the city’s purchase of Belle Isle in 1879, the glory days of Grand Boulevard in 1891 when the city didn’t extend any further North, and the rapid land acquisition in the 1920s as the auto industry boomed and population swelled. Detroit’s industry, population, and services have changed drastically over the years, but the physical boundaries of the city have remained the same since 1926. Will borders be expanded further in the future to create a cohesive regional Detroit that includes the suburbs? When Detroit comes back, I’d like to see it either annex the rest of Wayne county to form a consolidated city-county, or at least annex Hamtramck, Highland Park, and Dearborn/Heights. Detroit cannot annex any more of its neighboring suburbs. Due to Michigan State Charter Township Act of 1948. and the State Boundry Commission Act of 1978.